Well it seems the ‘time’ has come around again with those who are ‘out there’ saying this and that about different spiritual ‘thing’s and what they have to offer in what their role is in spirituality. Now, one can say (as I know I have as this is the 3rd or 4th time I have written about this over the years) that those who are ‘not all they seem to be’ will only ‘last so long’ and so on. Yet when one comes from Divine Inner truth, this does not ‘sit well’ with ones soul and spirit, with certain souls and I mean very deeply. I am referring to souls who have followings or state they are such and such in what ever that may be spiritually when others can feel ‘something does not feel right’. I want to say, that trust your intuition and do not doubt oneself. Yes, always ‘check in’ to see if there is something within ourselves that may be being mirrored yet also, TRUST ones ‘gut feeling’. As this was the case with older souls in the past, and now there are younger souls that are ‘out there’ that are being proclaimed to be ‘this and that’. They have ‘all the right words’ yet I know many are not who they are saying they are, not underneath they are not. Which then, with true Divine sharing of souls in the Divine truth, then say what something is for them, well on ‘paper’ it can say a similar thing. Just be aware of those who are ‘popular’ or well known ARE NOT ALWAYS WHO THEY SEEM TO BE OR SAY THEY ARE. I ‘thought’ that this would change with younger generations coming through in sharing in more recent times energetically, yet this is not so. This is still continuing, a type of ‘false’ light in a way and I say in a way as I am not putting any one down or judging, just sharing some truths of how there are younger souls out there now, who are not all they say they are. As one thing has not changed and that is SPIRITUAL EGO…it is just now with a younger generation. I will share that many of these are now on video. So many are more newly awake in recent years and even months and so when they do not ‘realize’ this, yes I know its part of their journey to do so, this can cause much stress/anxiety. Yes that is part of their journey as well. This is giving insight of a bigger picture of something I felt was not going to continue with younger souls (in human years) but it is. And if this allows just one soul to then take a ‘step back’ and feel into what resonates then that is great. The ‘wheel’ turns and as this wheel has turned a few times now, please know just because someone has many followers or writes or states they are a spiritual or ascension ‘whatever’, that one needs to discern this for themselves and not just take on ‘face value’ of what someone says and shares. Yes, this even happens in the ‘spiritual world’. Again this is SPIRITUAL EGO that these souls like to claim others energies by way of self inflating or by dominating others energetically and they are ‘very good at this’. Where as those who are more recently awakened, can and do question themselves that ‘this is my stuff’ and leave it at that. Question, question and then question…feel and trust what does not resonate for you with others, even if it is a very small ‘inkling’, trust that! Why have I ‘bothered’ writing this? When so many know this and will say ‘Oh I do that already’…as there are many that are not aware of this. And also, it is part of my role in Divine Love and Truth and Honesty in cutting through the Spiritual Ego as I care so very much for humanity. As I have my Golden Angel wings around humanity in truth and justice as part of who I AM of the Divine, a Pure and clear vessel of Source/Spirit. Again, this is those souls who feel this very deeply and ‘can’t let this go’. As when we are about truth and justice this goes so very deeply and those that feel this really understand what I am saying here. At the same time, this is also an opportunity for US who feel this, to then see and feel into this for ourselves….as this allows us to grow into our strength and confidence of who we are in all we are in Divine Truth. So then we can utilize this to ask ourselves what are we needing to grow into as they are a mirror for us to help us grow into our own power and to go through the jealousy that we feel as we do feel this, if we are honest with ourselves and RAISE ABOVE THIS. To realize we see and feel what not all are in who they say they are, with certain souls ‘out there’. This was very difficult for myself over the years in doing so much ‘behind the scenes’ very hard clearing and healing on myself of deeply within through so many experiences in life, to then feel and see ‘untruths’ or ‘something is not quite right’ with a soul that was ‘out there’. 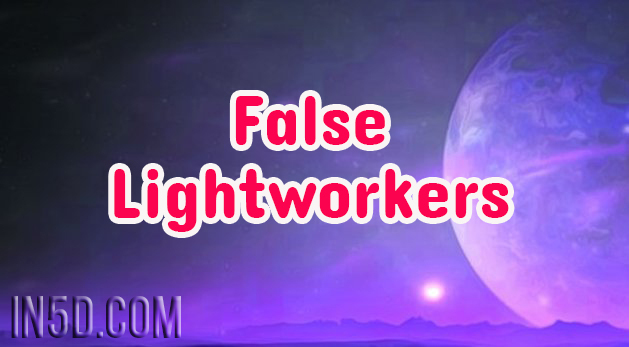 In the past, I was so disheartened as to ‘false’ lightworkers when I could FEEL they were not all what they were saying or sharing, not to the full deep extent I had been through. And it happened over and over with different souls who were well known…and then it was a process of realizing that WE ARE THE CHANGE! Those of us who have been ‘behind the scenes’ experiencing many traumas and life/death situations to come through stronger from this and knew we had ‘something’ to bring to humanity and then there were these souls who were ‘out there’ that we KNEW something did not resonate fully within us as to Divine Truth. So it is a process and learning for ourselves and the reality of not all are who they seem or say they are. And to then LET THIS GO and continue to BE and speak our TRUTH and continue on in all WE ARE. We are truthseekers, warriors of truth and injustice and it starts with us coming home to ourselves…learning to step into our EMPOWERMENT. And stating what our TRUTHS are and coming from a Heart space of LOVE. If you feel this, what I have shared here with another soul, take the time to reflect within yourself what is being triggered and ‘sort through’ anything that one may need to own for themselves and then TRUST in what is of Divine Truth as in ‘something still does not resonate’ and then ‘carry on’ in all you and and continue to SHINE YOUR LIGHT. As you are definitely not alone. As always I am right here with you and I have been seeing this for some years now.